Gian Marco Ciampa was born in Rome in 1990 and graduated with top marks, distinction and Special Mention with Mr Bruno Battisti D’Amario and Mr Arturo Tallini from “Santa Cecilia” Conservatoire in Rome. 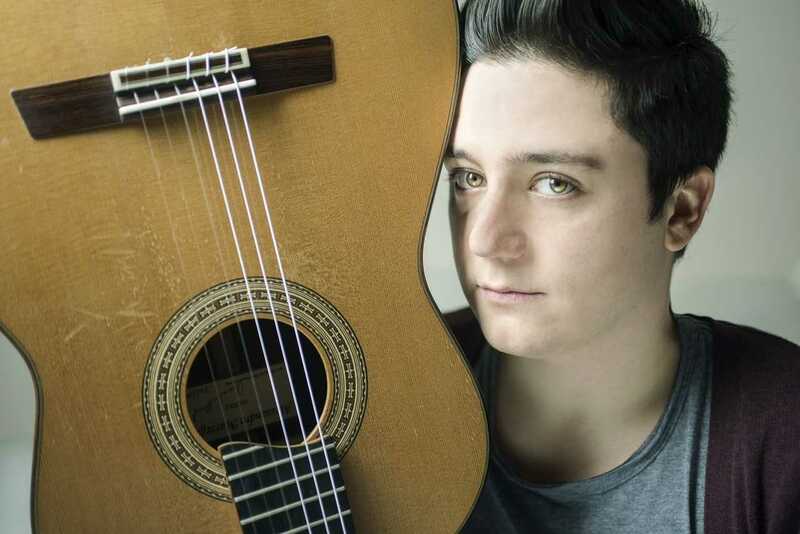 Gian Marco has taken part in and won prizes in several music competitions, among the others: “Tokyo International Guitar Competition”[Japan],”Melbourne International Guitar Competition” (Australia),”Michele Pittaluga International Guitar Competition”(Italy),“Coria Guitar Competition” [Spain], “Budapest International Guitar Competition” [Hungary],"Omis International Guitar Competition"[Croazia], International Competition "Alirio Diaz." Since he was very young Gian Marco has played concerts at important venues and festivals and gave Masterclass in Conservatories all over the world: Australia,Japan, U.S.A. , China, Denmark, Germany, France, Spain, Italy, Croatia, Greece. Gian Marco also had performed several times for broadcast live on Italian national television (Rai1;Rai 3;Iris)) and Radio(RadioRai3;RadioRai2). In 2014 the Scientific Committee of “Michele Pittaluga International Guitar Competition” awarded him with the prestigious "Golden Guitar" as best young talent. In May 2016 he was invited to hold a TEDxTalk for the prestigious TEDxLUISS event: "Who says classical music is only for old people?" is the title of his speech that is welcomed by an emotional standing ovation of the audience. On the occasion of the EXPO MILANO 2015 he was called to perform as an Italian representative of the classical guitar at the U.S.A. Pavilion. as the only classical artist invited by the American Pavilion on the occasion of the 2015 Universal Exposition. Several important Italian newspapers and magazines (La Repubblica, La Nazione, Il Tempo, Il Corriere Della Sera, Dotguitar, Seicorde etc.) have featured articles and interviews about Gian Marco and his talent. From 2016 Gian Marco attends “Segovia Guitar Academy” with Mr Paolo Pegoraro and Mr Adriano Del Sal and in 2011 he was selected to take part in the guitar course held by Maestro Oscar Ghiglia at the prestigious Accademia Chigiana in Siena, where he graduated with merit as well as receiving a scholarship as one of the best students. Besides classical guitar, Gian Marco has always played the electric guitar as well and he has performed in recording studios session and live Tour as a session player, ranging from rock to jazz music, from pop to electronic music.